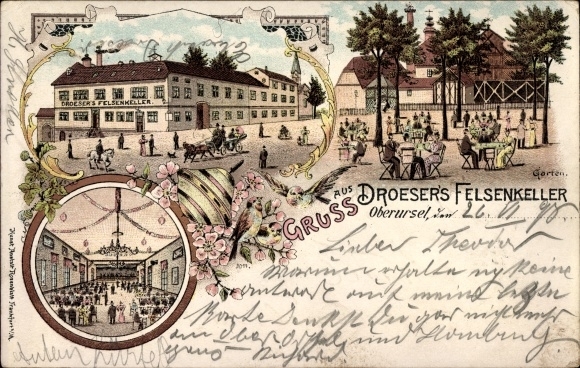 This historical postcard dates back to 1898, when the corner building at the Marktplatz (market square) used to be ‘Droeser’s Felsenkeller’, a restaurant with garden service. On 12 October 1895, Mr. Adam J. H. Droeser opened the Felsenkeller (rock wall cellar) Restaurant. 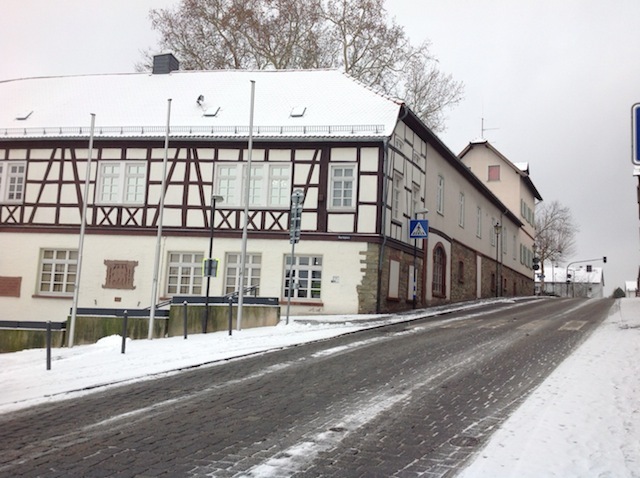 The address was am Marktplatz 1, which houses the Vordertaunusmuseum (Anterior Taunus Museum) today. Below is a photo of the same location, taken on 30 January 2019.